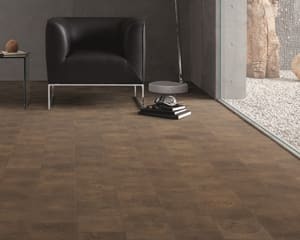 Are you looking to add a touch of class to your home? 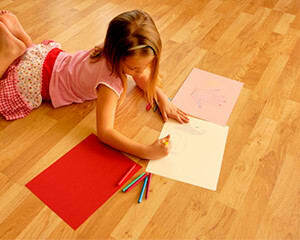 Cherry flooring is a richly coloured heartwood that is deep red to reddish-brown in colour. 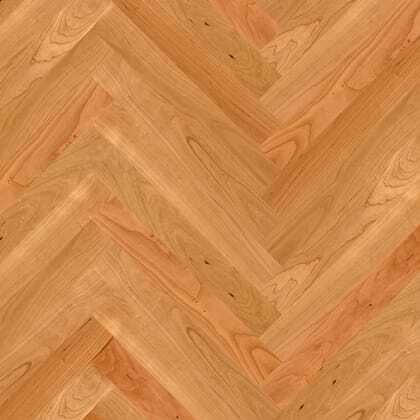 The grain pattern is normally very subtle and has very few knots which give it a smooth look and feel. 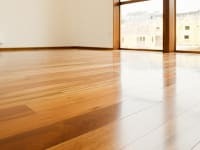 This smooth look means that cherry wood floors can be used when you want a rich and strong colour floor but don’t want it to stand out so much that it takes over the room. 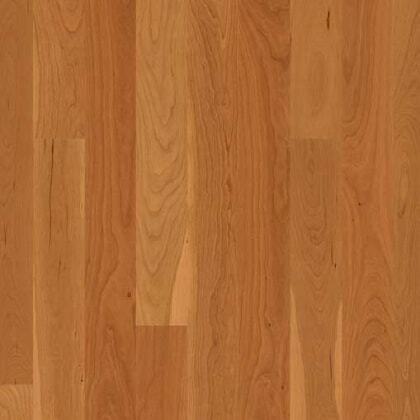 Sometimes called American Cherry the trees are concentrated in the Americas and has similar look to mahogany. 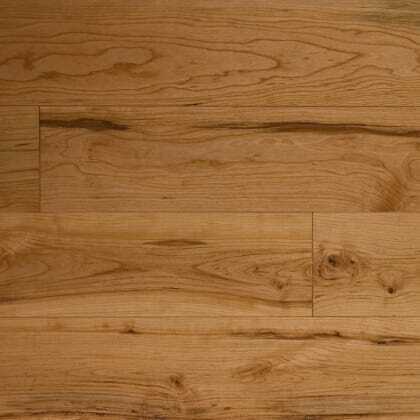 If you are looking for a floor that is hardwearing and brings a warmth to your home cherry wood flooring might be the perfect choice for you. 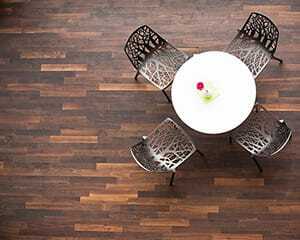 It is considered a timeless design in that it fits well into a traditional or modern room design. 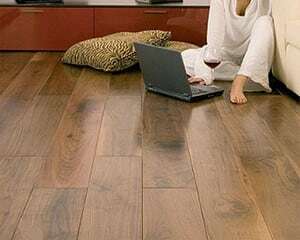 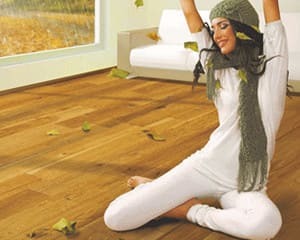 As it is a hardwearing wood it can fit in most rooms of the house no matter the traffic requirements. 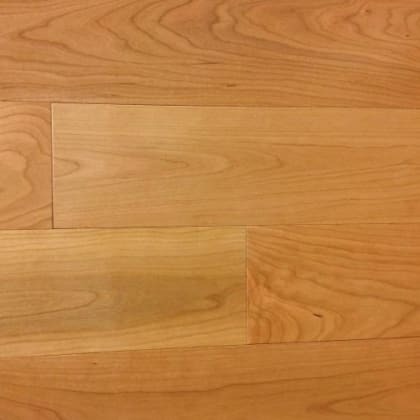 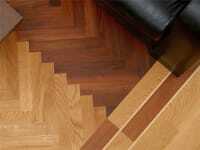 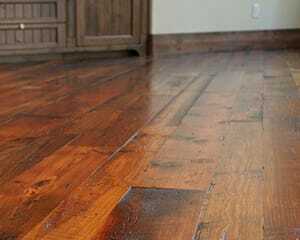 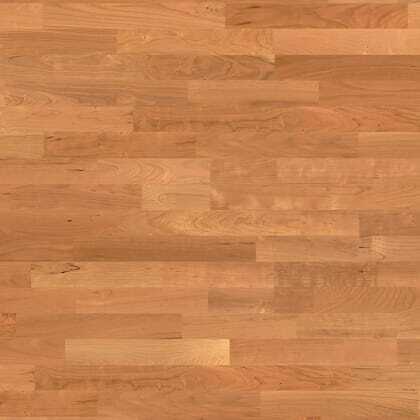 You can buy cherry wooden floors from us in solid or engineered. 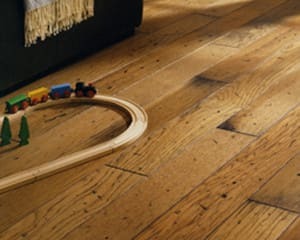 The KENS042 Canadian Cherry is for those who appreciate the finer things in life, there is no substitute for rich colour and nuances of woods rich grain as you feel its warmth and character only available from an exotic species with a gloss lacquer to give distinction Produced to Order / 6-8 Weeks Canandian Cherry is a unique solid hardwood floor which very rich in colour and grain as a specie Cherry is now hard to source and produced to order with a Lifetime Structural Guarantee. 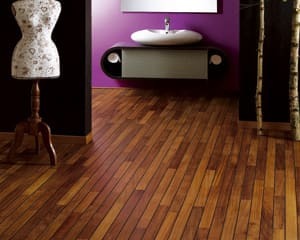 Lacquered Micro Bevel Select Grade T&G 20mm x 83mm x RL 1.95m2 coverage per pack (confirmed at point of order) ..